And the 3rd – an all-out long-driving type of action. 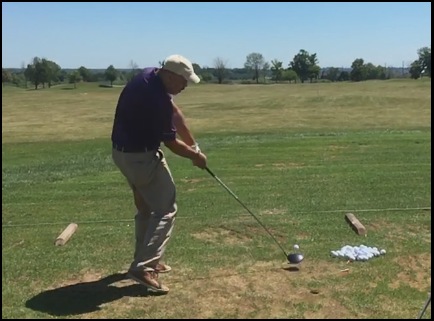 Now, one might be tempted to say, “there are gears for everyone in a golf swing,” and I agree – however most “gears” when people talk about this have more to do with effort level of the same motion (75% vs 90% full swing effort). For the first two gears of the MCS model I’m currently working on – there is a different action of the hips & legs for each (both within the MCS model of mechanics of course), which serve to get a certain degree of hip and shoulder turn with a controlled “playing swing” action, and I can dial either of these separate actions up and down with regards to effort level within each one! The 3rd of course is a more long-drive type of pivot action, taking the extra gear of the second swing action and adding even more hip and shoulder turn with yet another tweak to the pivot, for maximum speed and leverage – and I can’t think of any reason to swing less than 100% with this 3rd gear when you would simply use the 1st or 2nd gear to swing easier. All of this came about as I was exploring my new concept of what comprises a “tight” position at the top of the back pivot, and from there, I discovered that I could create different “gears” in the pivot using the hips & legs, all while keeping that top position tight. I should therefore theoretically get 3 different yardages swinging full-out in the 1st, 2nd and 3rd gears, all without having to manipulate the swing mechanics or effort level, which I think is pretty nifty! 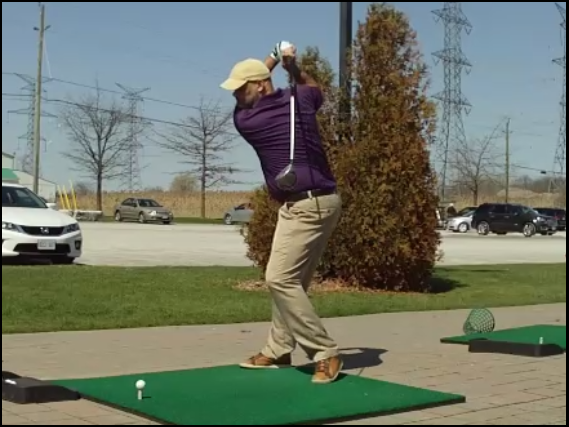 I will have more, including hard numbers, when I can get back out swinging, which I imagine will be in the next week or two (no snow remaining, the ground is thawed and temps next week should be in the double-digit C or above 50 F which, in Canada, is golfing weather). Right now, I’m just going over the gears and waiting for the ranges and facilities to open up so I can myself back into some semblance of swing shape, and then the fun will begin in ’19!! Of course, the better one’s technique, the less physical conditioning is required to be in “swing shape,” but as always, with high-speed swinging, you don’t want to risk injury, no matter how good the technique may be. Won’t be long now, my friends, and I’ll soon be getting into the nitty-gritty of my winter work with real-time swings (and the discussions thereupon)… can’t wait! As excited as I am for this, I dont even have 1st gear down!! I kind of learned this naturally when I was starting out. People have different gears. Nicklaus could blast it 330 in long drive comps, but would dial back to 250 to keep it in play. Snead did the same. I can carry it 275 and get 290 total. But for playing purposes, I try to carry it 255 and 270 total. I’m surprised I knew this already. But I guess when you’re self taught things just occur to you that when you’re being taught, they just don’t teach you. But it’s a good concept, I’m interested. Will be looking out for more. 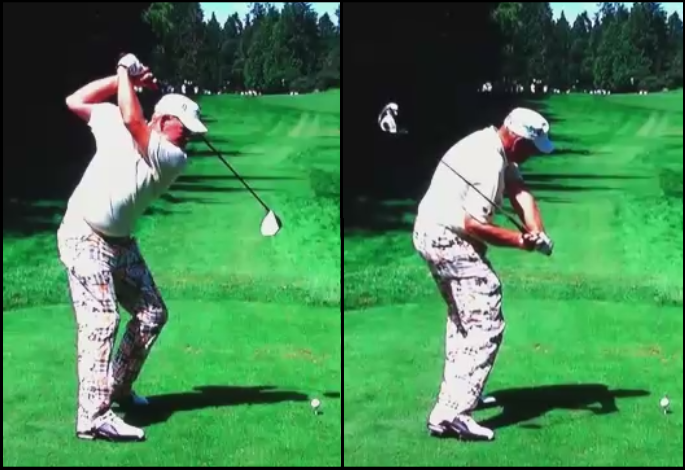 When I was breaking away from studying other swing models (created by others, that is), I had a “playing” swing MCS model and a “long drive swing” model, Mr. McJohn. You’re correct that this is nothing new – what I’m excited about is the nature of these 3 gears all have the same aspect in common with regards to what I’ve been talking about with keeping the tightest possible position at the top of the back pivot. So, you could call it an old concept with a new twist.